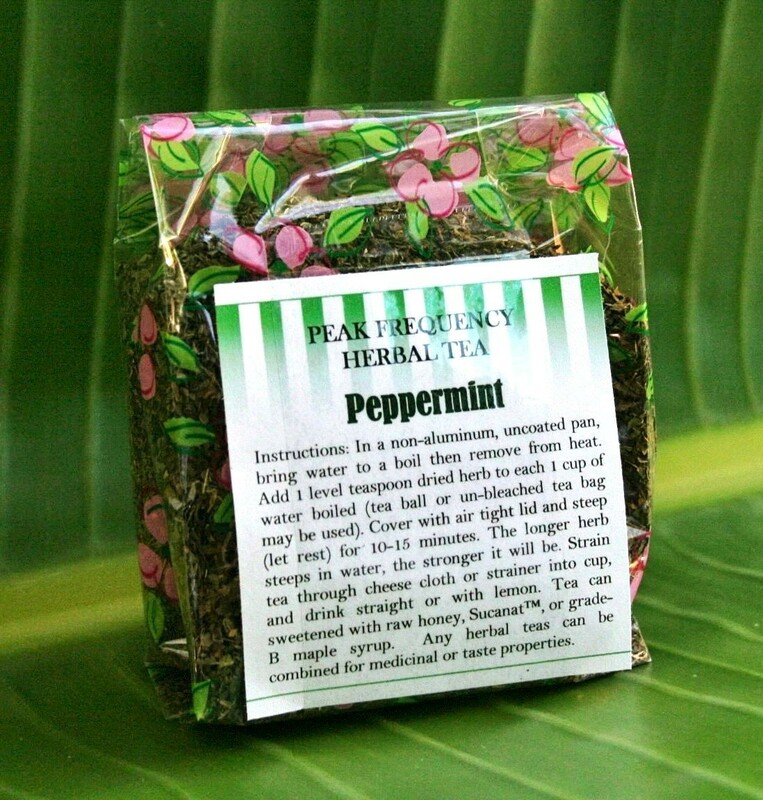 As a tea, Peppermint has the pleasant taste of mint and may dilate the blood vessels for increased circulation and the transport of white blood cells and potassium throughout the body, assisting the removal of bacterial, viral and fungal anti-bodies and their toxins through blood fluids. It may also promote detoxification by sweating-out lymph fluids through the skin, which may increase a flagging appetite, promote digestive enzyme production, increase circulation, and reduce headaches. Peppermint is a cross between spearmint and watermint, with high menthol content and may be mildly sedative and stimulating simultaneously. It refreshes, invigorates, and relieves all at once putting digestion into action, relieving heartburn and headaches, mitigating morning sickness, and alleviating nausea and vomiting. It can put an end to hiccups, muscle spasms, congestion, and anti-bodies.